Please visit us at our address below. Bheki Mjadu Intern Agent: Harcourts Zululand Lawrence Bhekuyise Mjadu, popularly known as Bheki to his colleagues and friends, joined Harcourts Zululand in November 2017. Before joining Harcourts Zululand, he was with Sotheby’s Realty Zululand, a company he joined in August 2016 after leaving Rawson Properties. 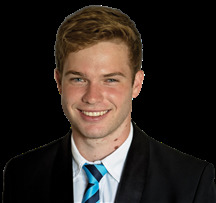 He joined Rawson Properties in December 2014. Before becoming an intern estate agent, Bheki had worked for the public sector where he worked for various government departments. He spent 25 years in the public sector where he acquired valuable experience especially in management. Before his departure from the public sector, Bheki had occupied different managerial positions. He left the public sector at the end of August 2012. His last position he held was with the KwaZulu-Natal Gaming and Betting Board where he was Manager: Communication Services. The Board reported directly to the Office of the Premier in Pietermaritzburg. During his time at the Board and other government departments, Bheki attended many self-development courses that included, among others, situational leadership, management skills programmes, computer skills, communication and writing skills, strategic management skills and interviewing techniques. Bheki has attended many tertiary institutions where he obtained qualifications relevant to the positions he held within the public sector. 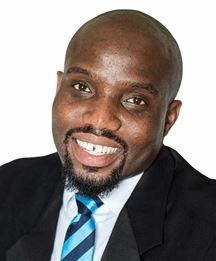 In 1992 he obtained a National Diploma in Government Finance from Mangosuthu University of Technology, followed by a bachelor’s degree in theology from Unisa in 2001 and Specialist Human Resource Management Programme from DUT in 2008. He then enrolled for a bachelor’s technology degree in management which he obtained in 2012 from DUT. This degree is completed concurrently with Advanced Business Programme (ABP). Bheki has completed the course work for the master’s degree in public administration that he hopes to complete before the end of 2019. 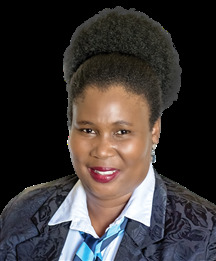 In 2000 Bheki was ordained as the minister of religion in the Lutheran Church and is practising as a priest or minister to Lutheran Congregations around Empangeni. In 2001 he qualified as marriage officer and is certified as such by the Department of Home Affairs. Bheki intends enrolling for the required qualification for estate agents in January 2018. Bheki believes that his vast experience in dealing with people of different levels will come handy in his new journey as an estate agent. 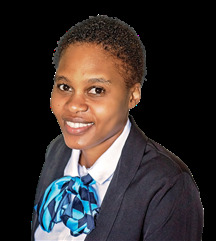 Personal achievements While at Rawson Properties Richards Bay, Bheki was, at the end of 2015, voted as an agent with the highest number of listings and the Best Newcomer of the Year. At Southeby’s KZN Bheki was voted as a runner up Rookie of the year 2016. Magda Carstens has extensive experience in the real estate industry, with her proficiency and passion being with rental properties. 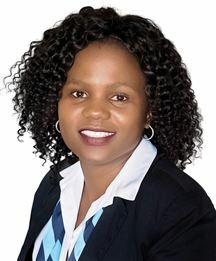 She has worked with several large corporate companies, including Hitachi, Eskom, Roshcon and Grinaker LTD, where she managed their accommodation needs during large projects. What makes Magda stand out in this demanding industry is her dedication to her clients. 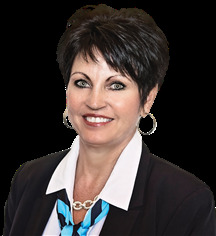 “I believe in giving my all to each client and ensuring that they feel heard and their needs understood. A property is so much more than just a house, and finding the ideal property to meet a client’s needs is what I strive for. If a client does not walk away with a smile on their face, then my job is not yet done.” Magda has completed her TPN and PAYPROP training, enabling her to ensure that new tenants are financially sound and a good fit to a property. 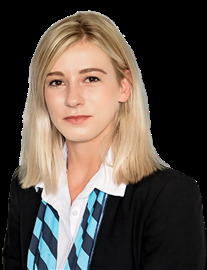 She is currently working towards her NQF 4 qualification and becoming a full-status real estate agent. She is keen on keeping abreast with the newest trends in the market and continues to improve and update her industry-related skills and knowledge. Richard has lived in Richards Bay since 1984. He has worked as an Architectural Technologist for most of his career and operated his own practice for fifteen years where he designed many homes in the area, as well as schools and been involved in project management here and further afield, including Botswana. Part of his portfolio is that he has supervised the construction of many buildings ranging from single-room community projects, private dwellings, schools to large government projects. Being well acquainted with the property market, his keen eye for detail and passion for meeting Clients needs will enable you to find the home best suited for you. Dont Let This one Get way! Waiting To Be Bought By YOU!!! If you snooze... You loose!! Own the Home Meant for You! !